If you like your stories delivered at a lively pace and with a range of excessive voices for different characters, this is not for you. William Nicholson reads this heavily abridged version unhurriedly and with little variation, defining his own story as calm and measured rather than as a thrilling adventure. 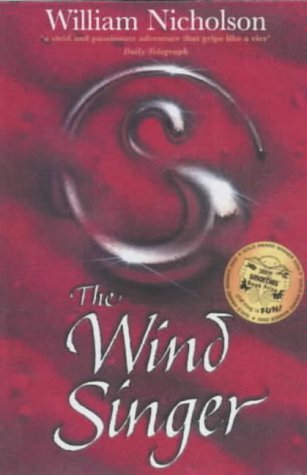 Although this can lapse into the soporific, overall it feels entirely appropriate as it allows his dig at an increasingly 'examined' society - the underlying premise of The Wind Singer - to come to the fore, so highlighting that aspect which is of far more interest than the driving fantasy of discovering the secret of the Wind Singer.